Holstein Kiel scored in last 10 home games in II Bundesliga. Holstein Kiel allowed opponents to score over 1.5 goals in last 5 games in II Bundesliga. Velez Sarsfield has under 2.5 goals in their last 3 games in Superliga (Argentina). Boca Juniors won their last 6 home games in Superliga (Argentina). Velez Sarsfield scored in last 7 games in Superliga (Argentina). Velez Sarsfield scored in last 3 away games in Superliga (Argentina). Boca Juniors scored in last 6 home games in Superliga (Argentina). Internacional has under 2.5 goals in their last 3 games in Serie A (Brazil). 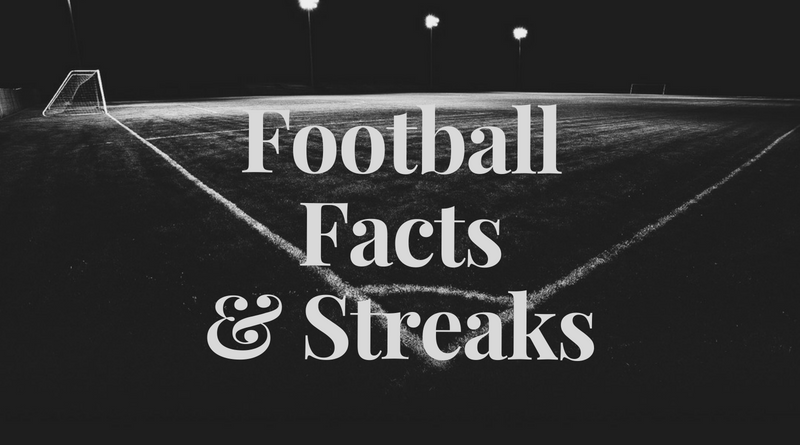 Palmeiras has under 2.5 goals in their last 3 games in Serie A (Brazil). Chapecoense lost their last 3 games in Serie A (Brazil). Internacional won their last 3 away games in Serie A (Brazil). Internacional scored in last 5 away games in Serie A (Brazil). Palmeiras allowed opponents to score over 1.5 goals in last 9 games in Serie A (Brazil). Chapecoense allowed opponents to score over 1.5 goals in last 7 home games in Serie A (Brazil). Internacional allowed opponents to score over 0.5 goals in last 7 games in Serie A (Brazil). Internacional allowed opponents to score over 0.5 goals in last 3 away games in Serie A (Brazil). Palmeiras allowed opponents to score over 1.5 goals in last 7 away games in Serie A (Brazil). Atlanta United has over 2.5 goals in their last 4 games in MLS. DC United has under 2.5 goals in their last 3 games in MLS. Atlanta United won their last 4 games in MLS. Atlanta United won their last 3 away games in MLS. Atlanta United scored in last 8 away games in MLS. Once Caldas has over 2.5 goals in their last 3 games in Primera A (Colombia). Independiente Medellin has under 2.5 goals in their last 3 home games in Primera A (Colombia). Once Caldas won their last 7 games in Primera A (Colombia). Once Caldas won their last 3 away games in Primera A (Colombia).